For the Toronto Mendelssohn Choir, supporting the development of young and emerging artists is a priority. 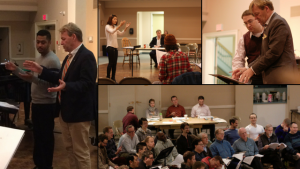 As part of its Emerging Conductors Program, the TMC created the position of Associate Conductor and established an annual Choral Conductors’ Symposium. 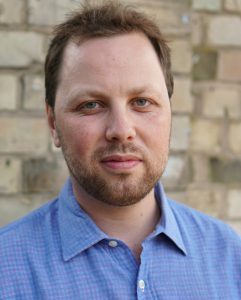 The TMC has appointed Ezra Burke as the new Associate Conductor for the 2018/19 and 2019/20 seasons. In 2011 the TMC created the position of Associate Conductor to provide talented and world-class-potential choral conductors at an early stage in their career with coaching, training and mentoring from Canada’s pre-eminent choral organization, while providing the TMC and its Artistic Director with high-calibre conducting support. Each Associate Conductor holds the position for two years. The Associate Conductor works closely under the guidance of the Artistic Director and directs the TMC ensembles in rehearsals and select performances. Major responsibilities also include assisting with auditions and participating in the TMC’s education and outreach programs. Jennifer Min-Young Lee was named TMC Associate Conductor for the 2015/16 and 2016/17 seasons. Her appointment was extended for a third year for the 2017/18 season. She concluded her time with the TMC on June 30, 2018. Caron Daley was TMC Associate Conductor for the 2013/14 and 2014/15 seasons. Matthew Otto was TMC Associate Conductor for the 2011/12 and 2012/13 seasons. The TMC Choral Conductors’ Symposium was established in 2010, with the first Symposium taking place in January 2011. Each year, five emerging conductors were selected from across North America to come to Toronto to study with conductor Noel Edison in a week-long series of workshops and master classes. Participants had the opportunity to conduct the Toronto Mendelssohn Choir and the professional chamber ensemble, the Elora Singers. The 8th annual TMC Choral Conductors’ Symposium took place January 23-27, 2018 and the final concert was webcast live. You can watch the concert (and other previous Symposium concerts) on our Webcast page. The TMC Choral Conductors’ Symposium is currently on hiatus and there will be no Symposium in the 2018/19 season.